For the March Technique we are going to do two things. 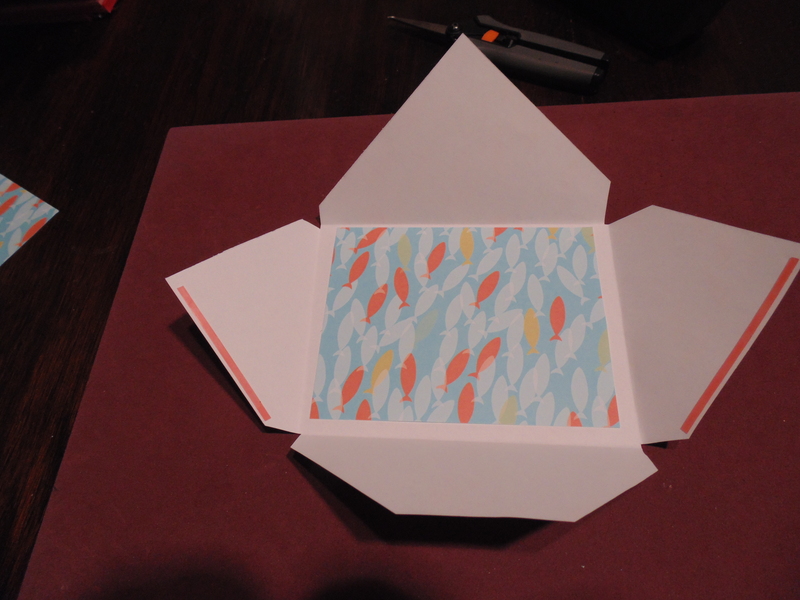 One is to make an envelope for any size card you decide to make and the second is to make an envelope card. 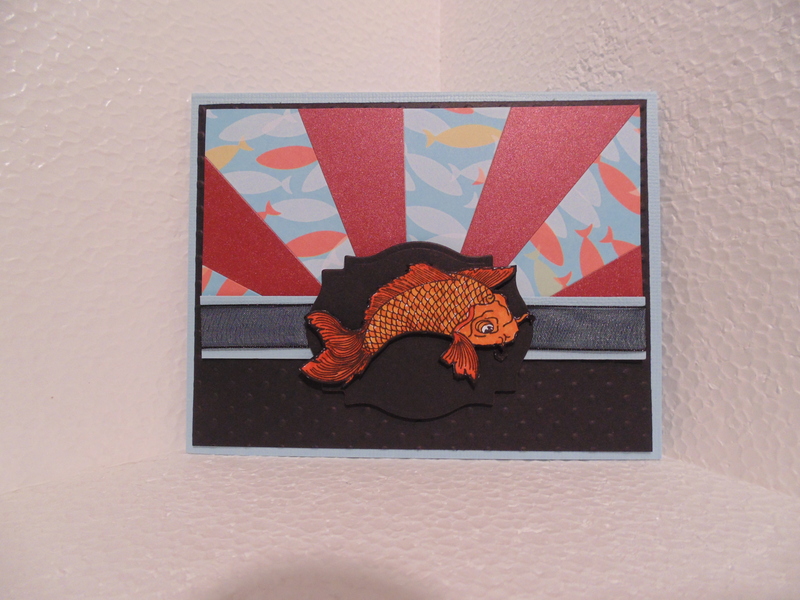 And now Stampin’ Up! 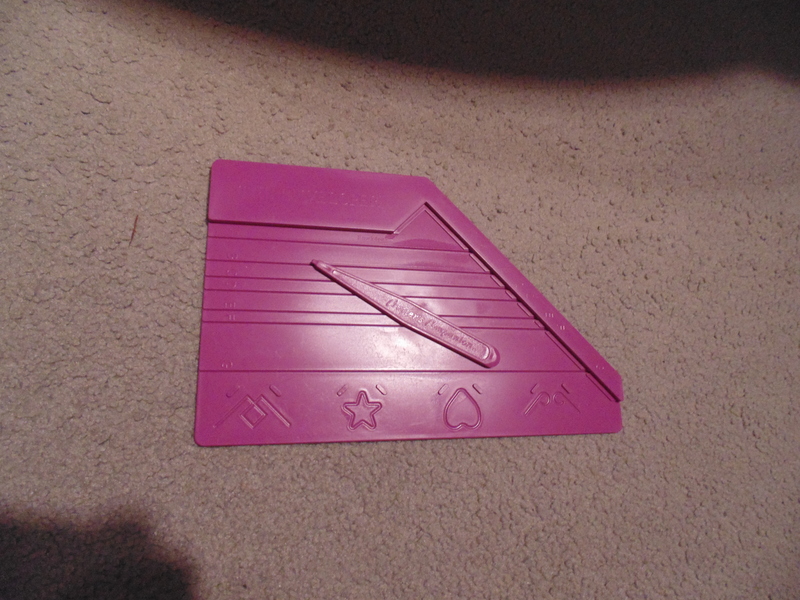 has one that goes on top of their score device as well. 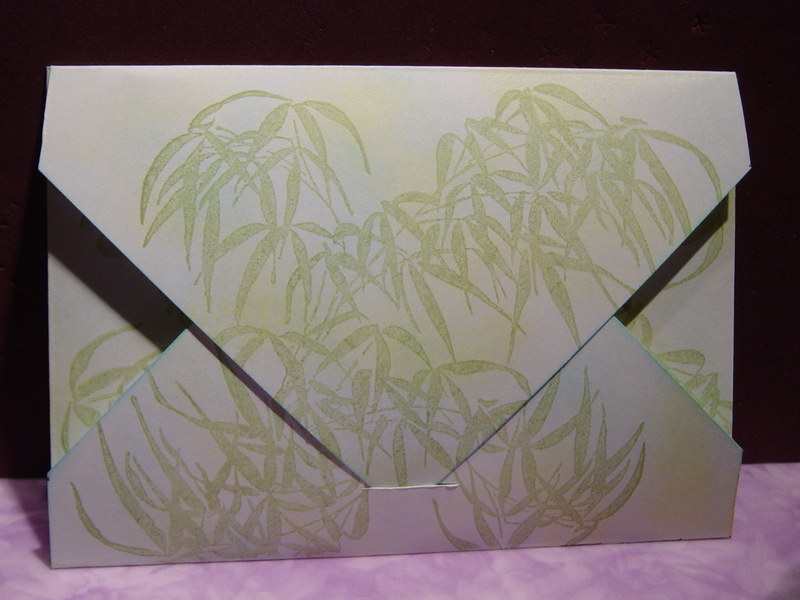 I’m sure there are lots of other ones out there to make envelopes as well if you are willing to put out the money for any of those. But there’s no need. 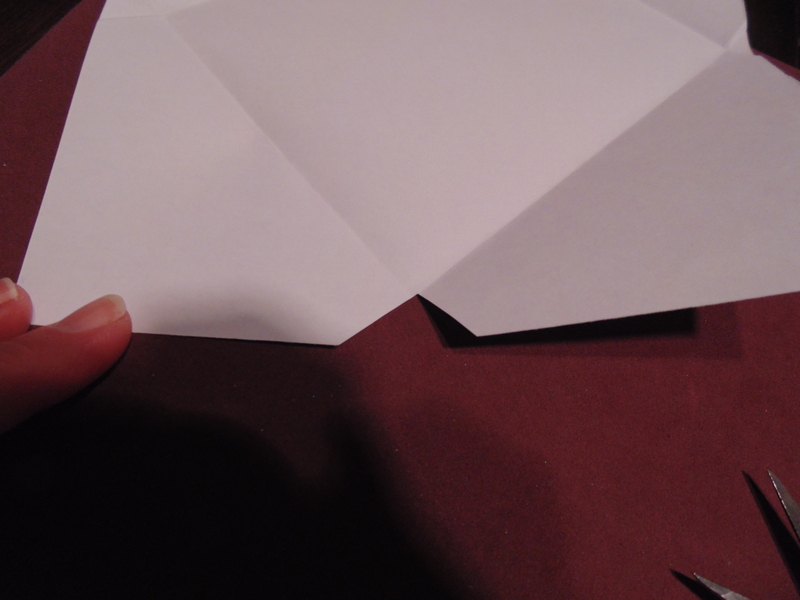 You can make your own envelopes with nothing more than your paper, a ruler, and your bone folder. It’s nice to have a scorer but even that is not necessary. 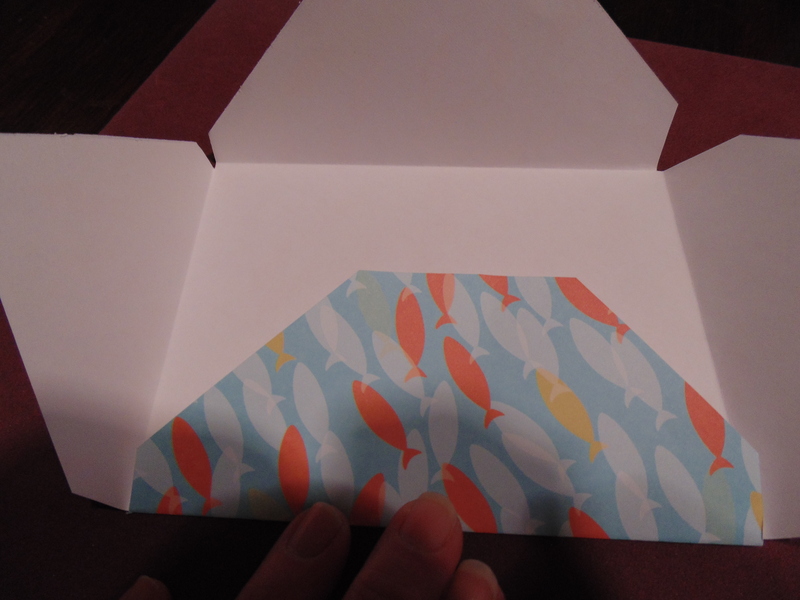 I have more of that fish background paper so thought it would be cute to use that for my envelope as well. 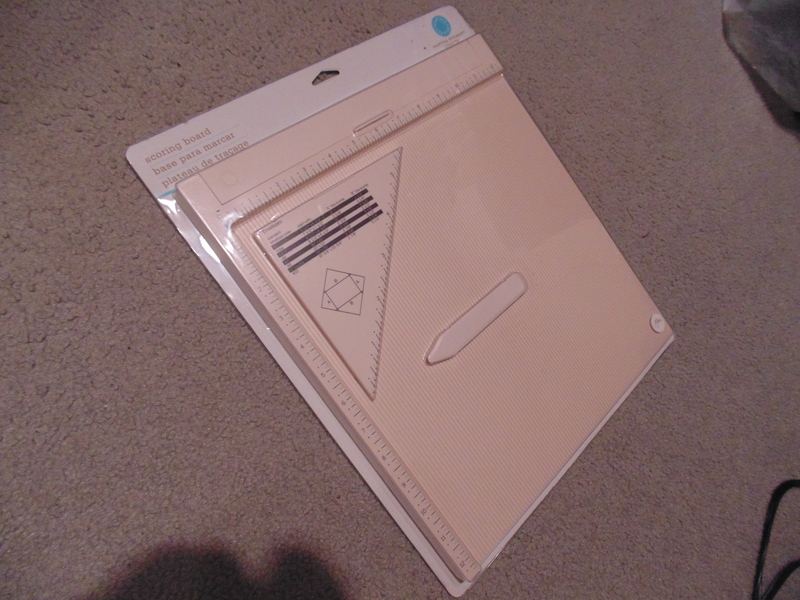 First, measure the card on the diagonal (i.e. from the upper left corner to the lower right corner). 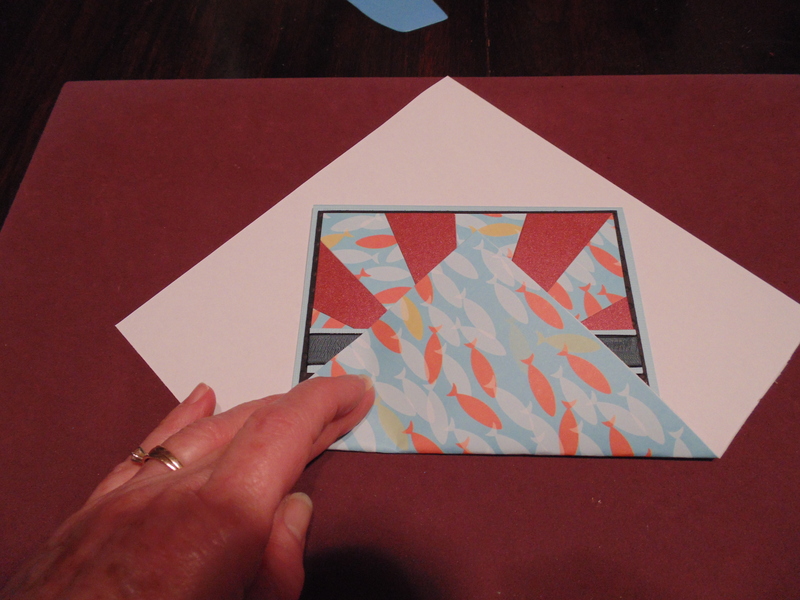 In this case, my card is 7 inches (17.7 cm) on the diagonal. 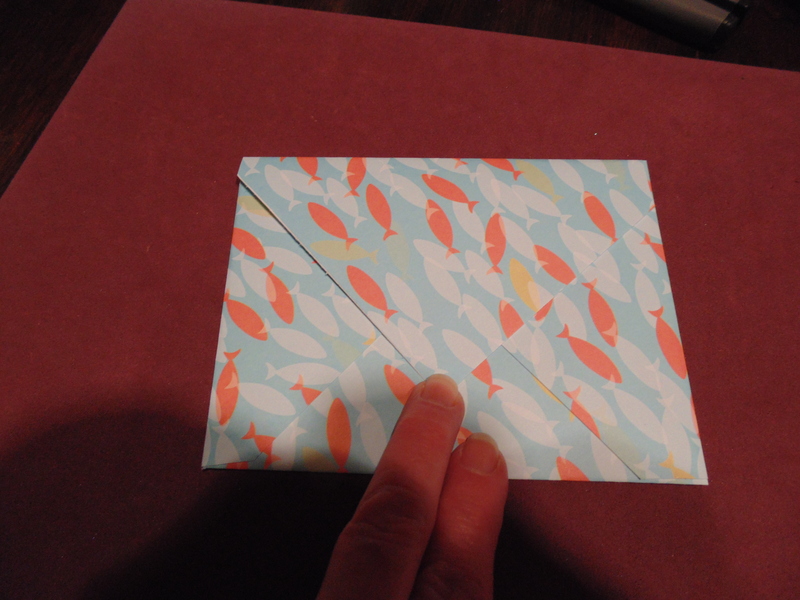 So cut a piece of card stock that you want to make your envelope out of 1 inch (2.7 cm) larger on both sides. 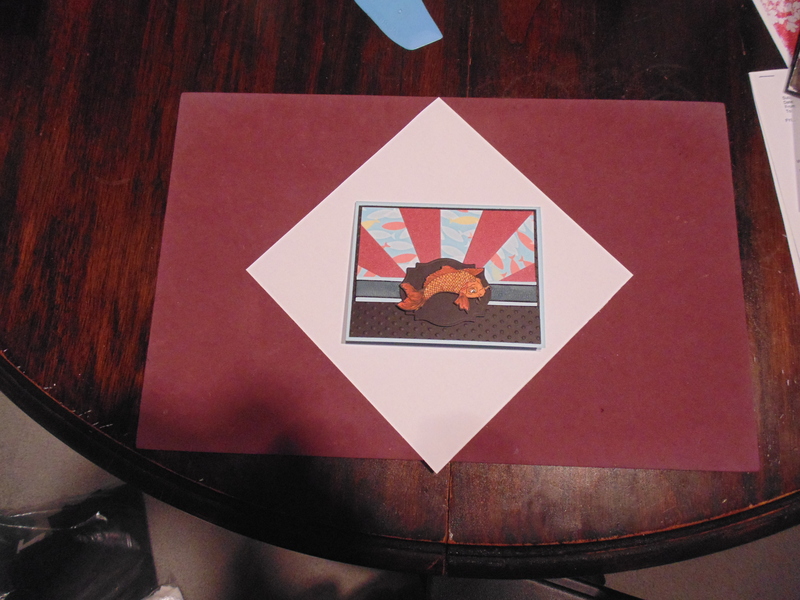 In this case I will be cutting my piece 8″ x 8″ (looks like about 20.3 or 20.4 cm). 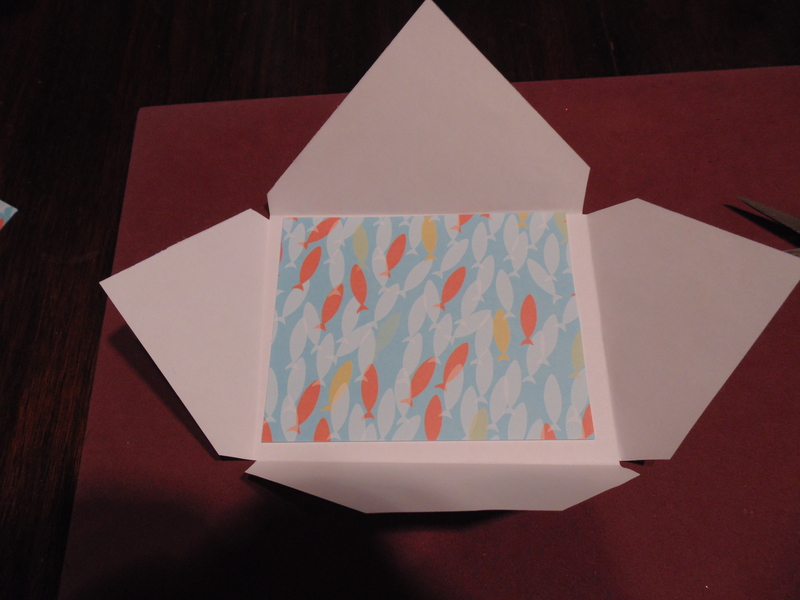 My card above was eyeball centered and was a little too far to the right but have no fear, it still makes a great envelope so if yours isn’t exact on all sides, no problem. 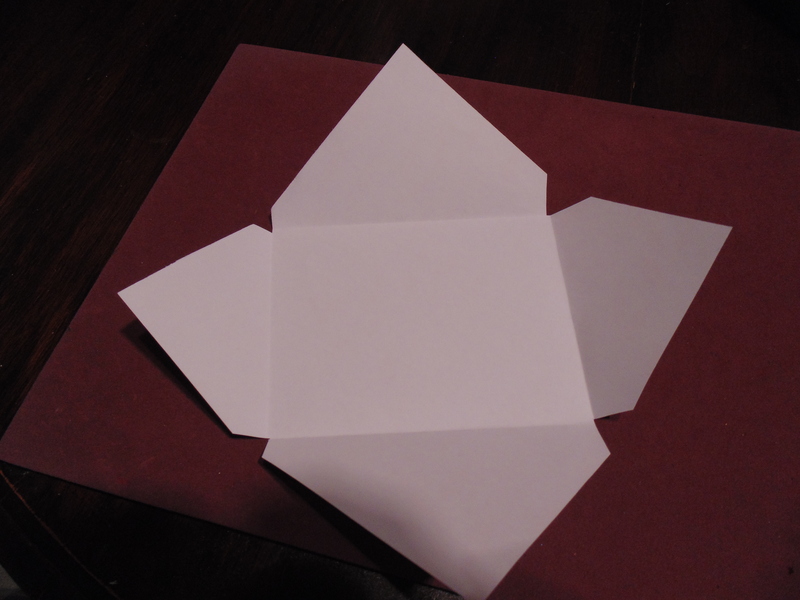 Look at the top fold and the bottom fold and choose which one you want to show (whichever one is more balanced with the point). For the one you didn’t choose, cut off the point straight across. 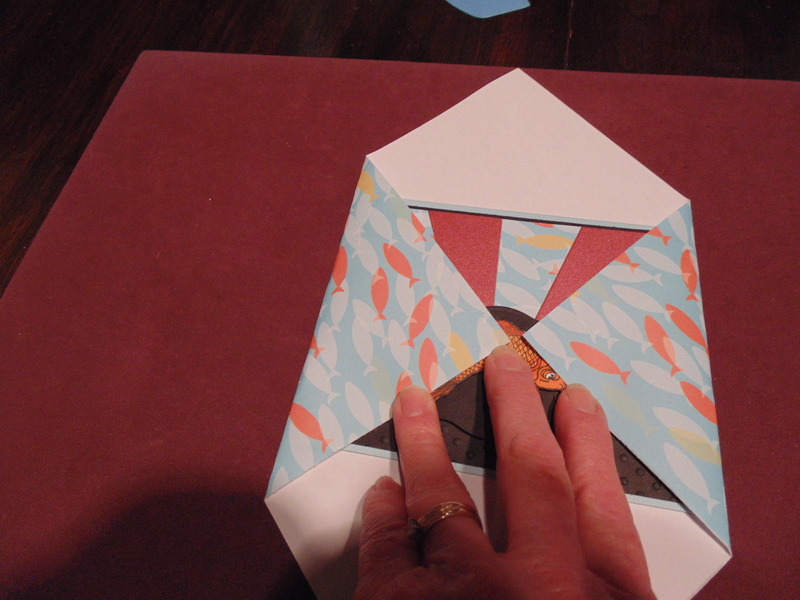 Fold up the bottom, remove the red protective cover on the tape and carefully line up your side flaps and seal them down on the bottom part. DONE!! 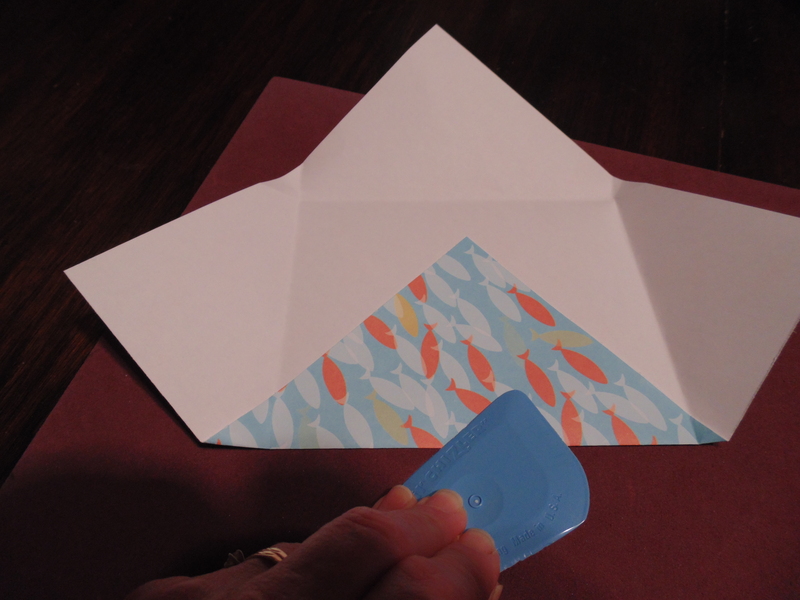 You can put another piece of the red tape along the top and remove the protective cover when you are ready to seal the envelope. DONE!! 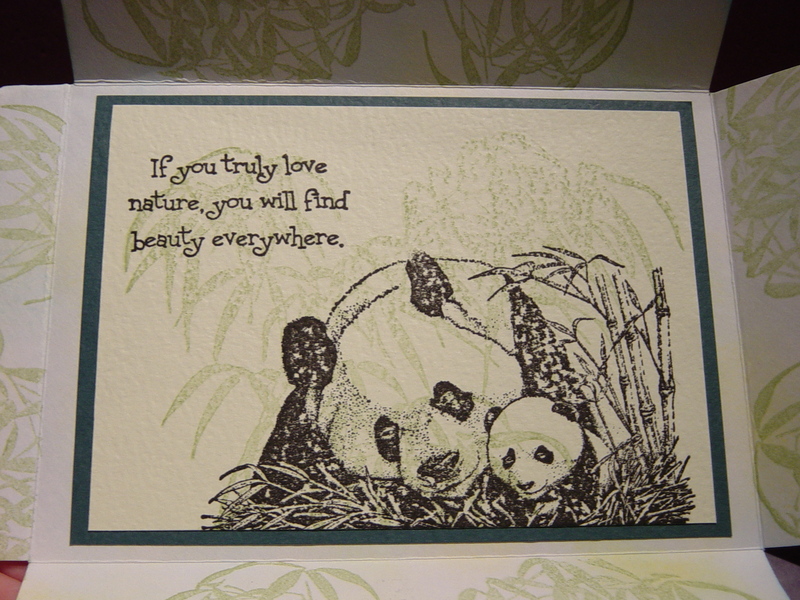 For the front, especially on a busy-patterned paper, you could add a piece of white card stock that you write your address on or print it out on your computer paper and stick it on with clear packing tape so no edges can be lifted and removed with the postal machines. 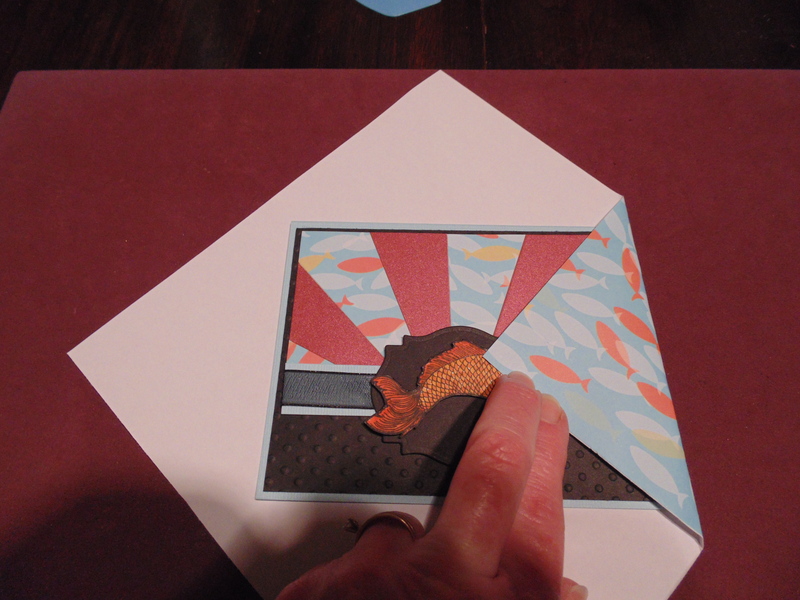 You can use magazine paper that has lots of brilliant colors on it as well. 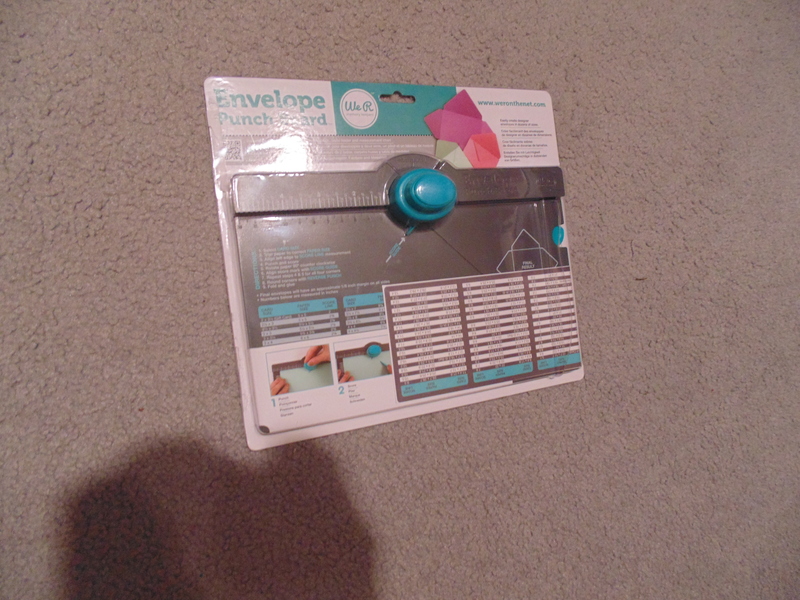 For mailing, you can just put a piece of tape over where the slit is to hold it shut or allow the postal people to open it and admire your card. 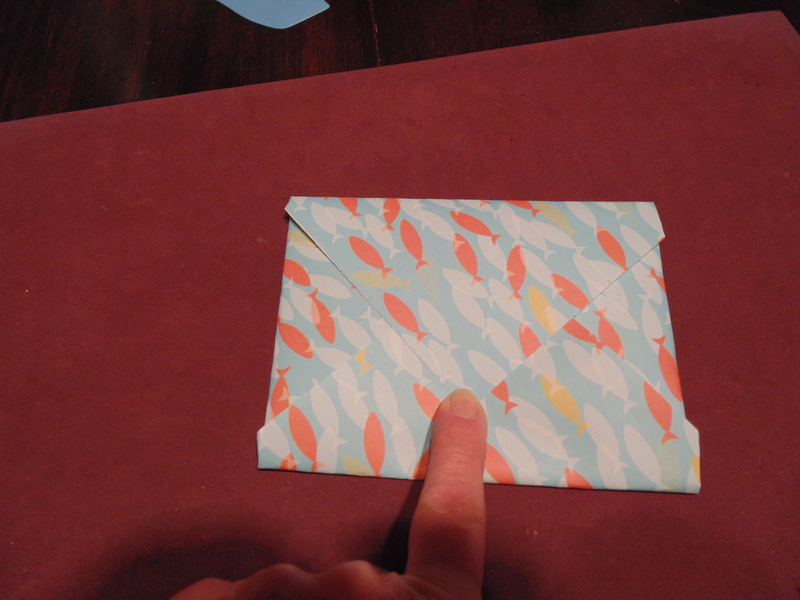 If you go to Youtube.com, you’ll also find videos for those of you who have envelope-making devices. 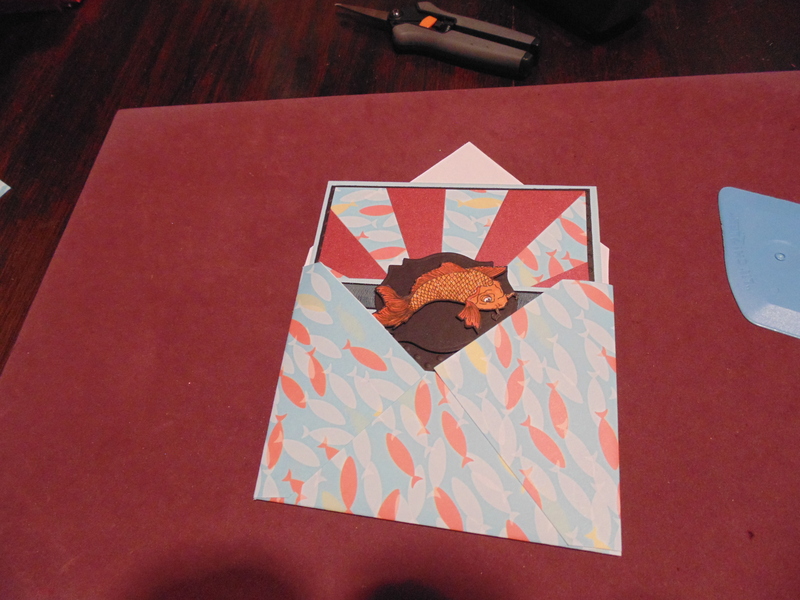 I just typed in Making Envelopes and clicked on Making Envelopes for Cards and all the wonderful videos came up. Have fun doing this month’s Technique Challenge. 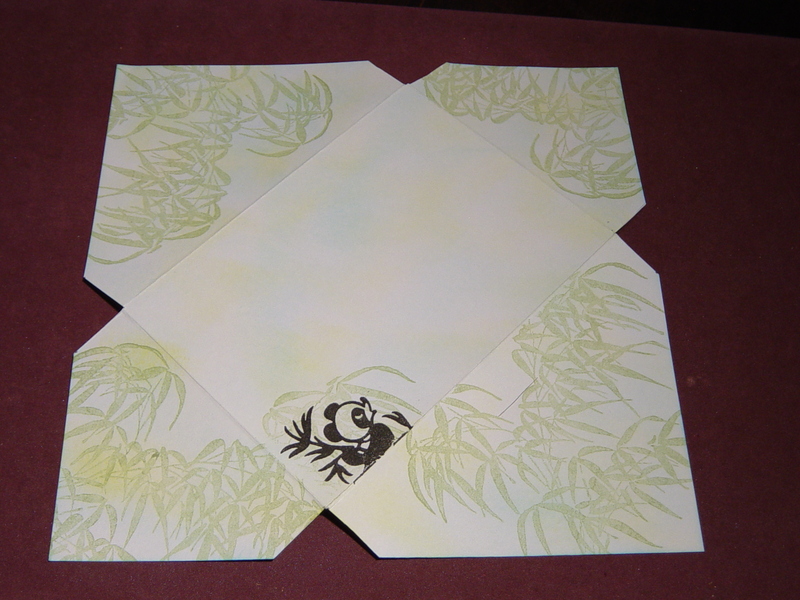 Either make your envelope or make your envelope card. Can’t wait to see your finished products! !